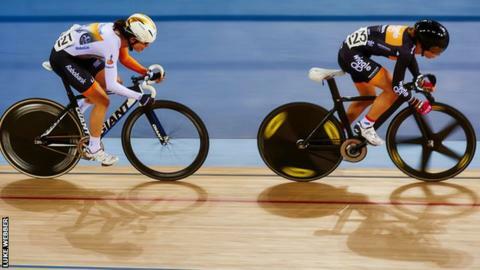 Britain's Laura Trott decisively saw off the challenge of Marianne Vos to win the omnium at the opening round of the Revolution Series in London. Trott got the better of Olympic road race champion Vos as she won all six races that make up the omnium event. The 22-year-old Wiggle Honda also won the Australian pursuit and scratch race at Lee Valley Velodrome. The Revolution Series is a UCI event with points available for the UCI World Cup and World Track Championships. Round two takes place on 22 November at the National Cycling Centre in Manchester.